Most of the Series 2 designs can be found online after MWC if your google-fu is up to snuff, but I thought I’d keep going with the official photo previews! Here’s another new friend! 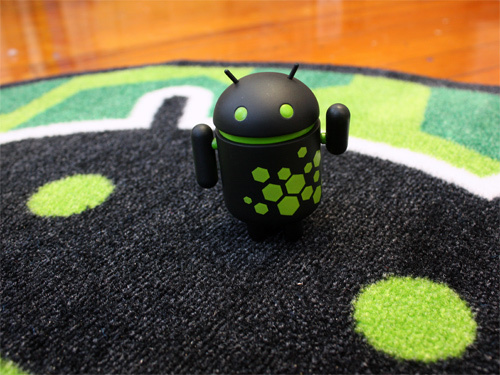 Android on your floor! Custom made round rug available for pre-order right now! 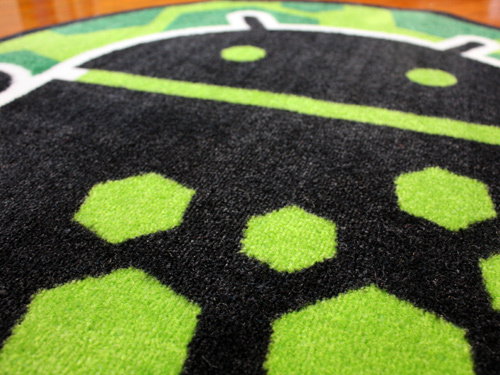 We even mixed up a batch of PMS376 (aka Android Green) to make sure this rug was just right! Picked a couple out of two separate cases today and got a Hexcode and an Iceberg. I was disappointed at first that I didn’t get any of the rarer ones, but now I gotta say that I’m happy with what I got because they are so dang cool looking. Will you be able to purchase individual figures from the series or only the entire collection? I want the Hexcode droid as it will make a perfect addition to my desk! 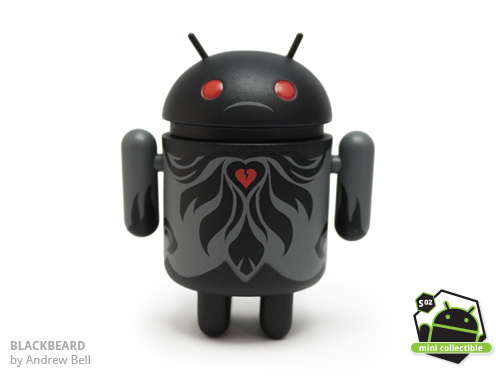 I second Pacobell for a Cthulhu android–that would be beyond awesome! Thanks Complexx, unfortunately the down side of MADE IN THE USA means that it is understandably more expensive, but I try my best to find local sourcing options. All my t-shirts, stickers, posters and prints are made in the US. cool…wish the mat was more affordable tho!….good look on it being “MADE IN THE USA”!!! So, while you have the Chinese god of wealth model, I find it bewildering that you don’t have a Cthulhu android yet. I wasn’t to look into his adorable eyes and despair! Why Blackbeard is sad and heartbroken? 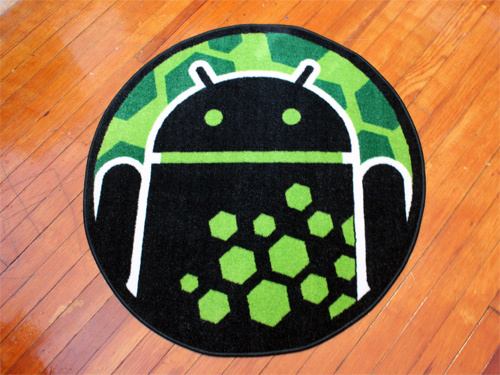 Can’t wait for series 2 … just pre-ordered my Android rug!